Step into the Star Wars universe! 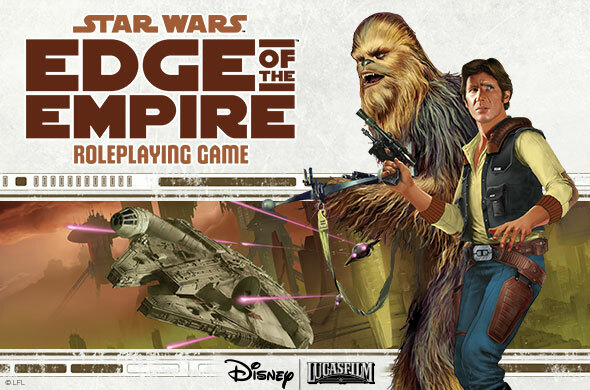 Enjoy thrilling adventures in the Star Wars universe with any or all of three different Fantasy Flight Games Star Wars roleplaying systems — Age of Rebellion™, Edge of the Empire™, and Force and Destiny™. All three systems utilize the same dice and core mechanics. Additionally, if you're looking for a place to start, you can sample our Star Wars action with The Force Awakens™: Beginner Game. Like each of the three standalone lines, the Beginner Game offers a unique and memorable take on the core Star Wars experience. Now recruiting for the Rebel Alliance! 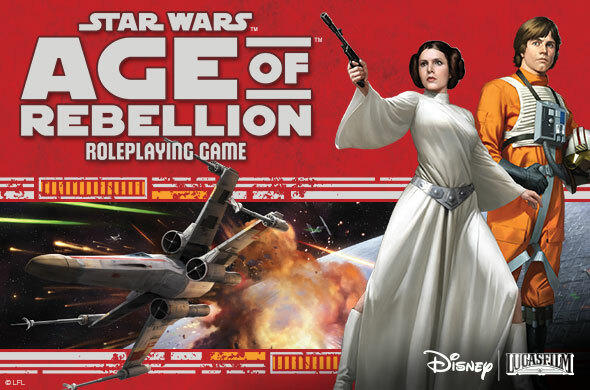 The Star Wars™: Age of Rebellion™ RPG thrusts you directly into the ongoing Galactic Civil War between the evil Empire and the rag-tag Rebel Alliance. Woefully outnumbered and outgunned by the Empire’s vast military, you and your friends may undertake any of a wide variety of missions. No matter your duty, no matter your motivation, this is your chance to play your part in the cause for galactic freedom. Be a hero. Join the Rebellion! Explore locations where the Empire’s laws and influence are dimmed or muted. Meet shady characters, independent thinkers, and insurgents looking to break free of Imperial law. In a campaign for the Star Wars™: Edge of the Empire™ RPG, bounty hunters, smugglers, scholars, and explorers enjoy grim and gritty adventures in places where morality is gray and nothing is certain. The power of the Force flows through you. All your life you have felt it and used it, perhaps even unconsciously. Now, at last, you have found others like you who can sense and manipulate the Force, others willing to risk their lives for the sake of justice, for the sake of restoring balance to the galaxy. 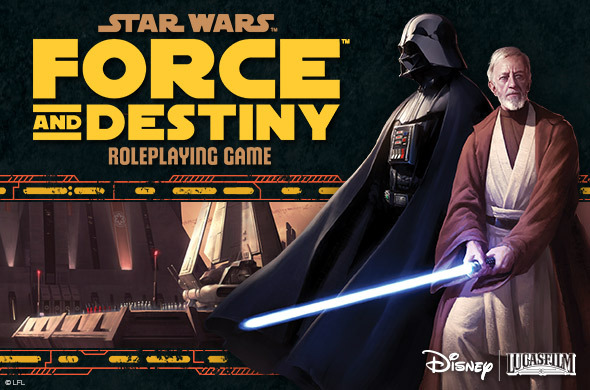 In Star Wars™: Force and Destiny™, you and your companions may seek the secrets of the outlawed Jedi Order, lurk in the shadows and defend the downtrodden, or join the Rebellion. But beware the lure of the dark side, or you may slowly succumb to its temptations! The Force Awakens™: Beginner Game is a perfect entry into the Star Wars roleplaying experience for players of all skill levels. It features everything you need to get started – even if you've never before participated in a roleplaying game. Four complete character portfolios, custom dice, and a complete, learn-as-you-go adventure throw you into someone else's shoes and carry you from the sands of Jakku deep into the heart of a mystery that could change the course of the galaxy. 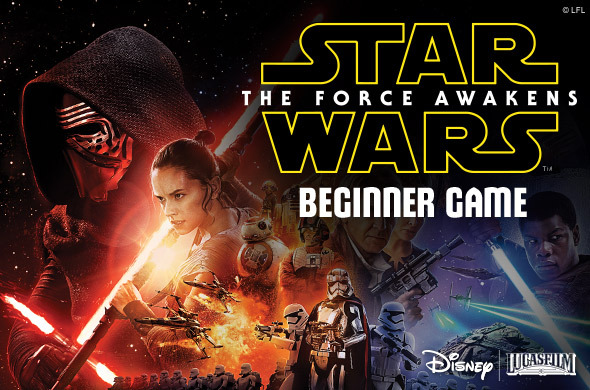 Note: Unlike our other Beginner Games, The Force Awakens Beginner Game is not associated with its own Star Wars RPG game line. 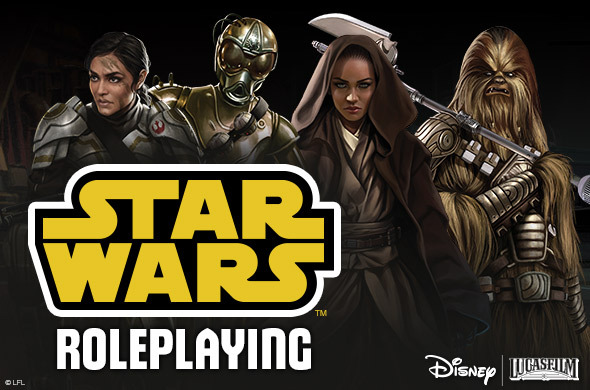 Players interested in continuing their Star Wars adventures beyond the Beginner Game can do so through any of the other three fully compatible systems.